The last ten years have seen massive progress in getting the UK population online, with over 86% of people now having been on the internet. There is still a digital divide however, with 4 million households without internet access according to the Office for National Statistics. And, the ability for online access via mobile is extremely variable – as Liz Stevenson from Cambridgeshire County Council pointed out at the recent Cambridge Smart City debate, 41.5% of the county isn’t covered by a 3G signal. I dread to think what the figure is over the border in Suffolk, where I live in a village with sporadic 2G coverage. Efforts continue to help the offline into the online world, particularly by targeting specific groups such as the elderly and disabled and by providing more user friendly devices such as tablets. 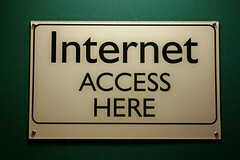 However a new digital divide is emerging. As the Economist Intelligence Unit points out in a recent report, this is between those that understand and use the internet to its full potential and those that simply shop, watch or read the content that they find there. It is essentially a split between creators and consumers. You’ll always get power users in any technological change but the risk is that those who don’t take up the opportunities offered by the internet will become disenfranchised, pay more for basic goods and services and miss out on achieving their full potential. So how can we encourage more creators who understand the opportunities that the internet brings? A really simple way is to copy the behaviour of the young (though without the selfies on SnapChat). As digital natives they start with no preconceptions and no manual to read – they just get on and use the internet as a tool to do what they want to do. Not having a fear of failure, or an embarrassment gene, is going to lead to cringeworthy moments, but it will also mean you experience new things, learn new skills and create. Once you’ve mastered these skills you’ll understand what you can do – giving you better control of the medium and deepening your understanding of how organisations might be trying to channel and constrain your internet experience for their own ends (normally to sell you something). Otherwise this new digital divide will solidify – splitting the digitally savvy from consumers and providing a two speed experience that will damage people’s enjoyment and potentially harm their prospects. Go create! Marketing is undergoing a revolution. The advent of social media provides the opportunity for one-to-one communication for the first time since the move to an industrial society. This blog will look at what this means for B2B PR and marketing, incorporating my own thoughts/rants and interests. Do let me know your feedback! I'm Chris Measures and I've spent the last 18 years creating and implementing PR and marketing campaigns for technology companies. I've worked with everyone from large quoted companies to fast growth start-ups, giving me unrivalled experience and ideas. I'm now director of Measures Consulting, an agency that uses this expertise to deliver PR and marketing success for technology businesses.